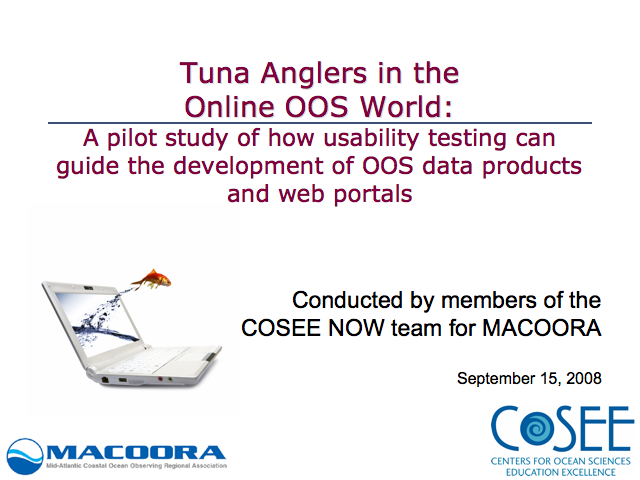 In August 2008, a team of COSEE NOW members collaborated with Cia Romano, the founder and CEO of Interface Guru, to conduct a website usability test with a group of tuna fishermen and women to better understand how ocean observatory data can be communicated via Web-based visualization displays such as maps, charts and other data sources. 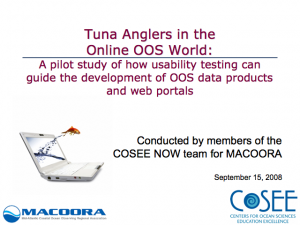 to use the results of the test to improve visualization and navigation of data displays for MACOORA member institutions, including COSEE NOW. the summary presentation of the usability test results. 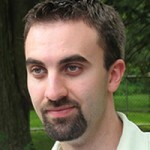 Sage is a research programmer and outreach specialist at the Rutgers University Institute of Marine and Coastal Sciences. This site was developed with the support of the National Science Foundation under Grant No. OCE-0730719. Any opinions, findings, and conclusions or recommendations expressed in this material are those of the authors and do not necessarily reflect the views of the National Science Foundation.